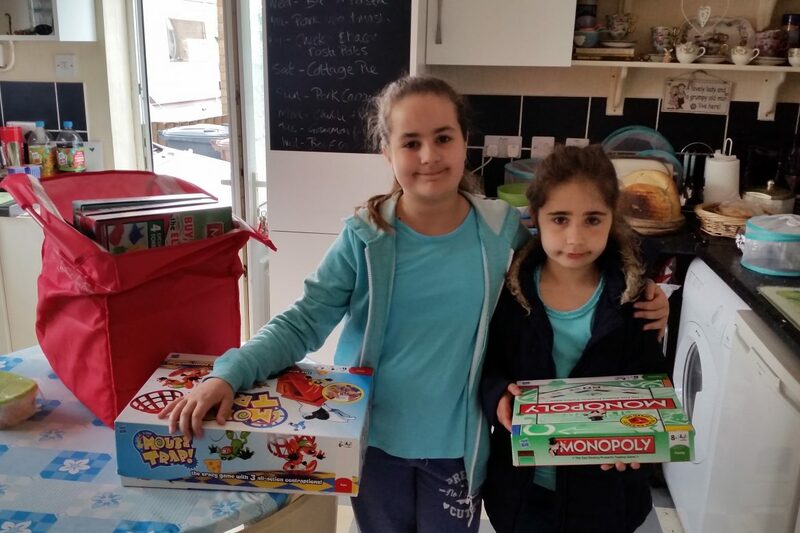 A few weeks ago Kaycee (10) saw an advert online for the NSPCC’s Big Board Game Day. She immediately wanted to take part. She asked me to apply for the information pack and was really excited when it arrived. In the pack was a sweepstake sheet with 24 team names on that you could sell for £2 each. The winner gets half of the sweepstake money collected and the NSPCC gets the other half. She sold all the team names to friends and family (she’s got lots of brothers, a sister, and loads of aunts and uncles as well as grandparents!). Kaycee is now eagerly waiting for the NSPCC to announce the winning name on their website on the 31st May. As well as running the sweepstake, she asked her head teacher if she could organise a big board game day at her school. Her head teacher thought it was a great idea. Kaycee got some friends together to help her sort out the details. They arranged to take in board games from home for each class in the school. Kaycee made a list of the ones she was taking in. She checked them all before she took them to make sure all the pieces were there then made a list showing which classroom they were going in. She took about 30 games in over 3 days! Kaycee had to write the letter that would be sent home informing the parents of the plans. She also had get up in front of the school during assembly to tell the other students all about it. Ella’s looking a bit grumpy because she couldn’t find her fleece jacket and wanted to wear it to school! Her school also supports a local charity, Sophie’s Cancer Journey. They decided to raise money for both charities today by having a cake sale and wearing blue clothes in honour of Sophie. They priced the cakes at 50p each and asked for a contribution of £1 to play the games in the afternoon. By all accounts, the day was a huge success. They raised in the region of £440 in total to be split equally between the 2 charities.